Hybrid Racing Clutch Line Kit - Pann Auto Performance - San Diego largest aftermarket automotive performance parts - What do you drive? When Hybrid Racing did their first K-swap over 5 years ago there were no off the shelf products to make the swap clean and easy. 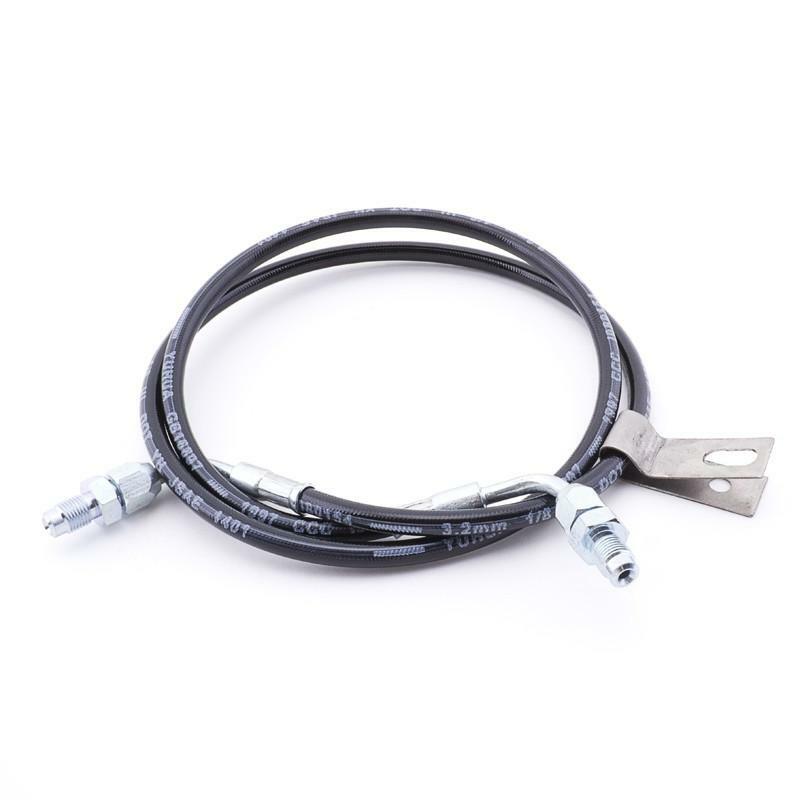 One of the first products they developed was an easy to install hydraulic line kit. 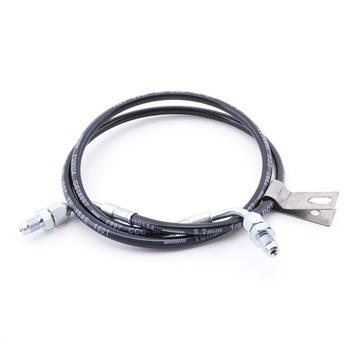 These lines are pressure tested and pre-assembled utilizing a -3 teflon hose encased in a braided stainless steel line. Why do I need the clutch line? When performing a K series swap you need to connect your clutch slave cylinder and master cylinder together. The stock clutch line on most k-swapped cars will not mate up to the slave cylinder on the k-series’ transmission.The Hybrid Racing K-series Clutch Line Conversion allows the motion from the clutch pedal to be transferred to the clutch fork. Can I use my OEM line? The OEM lines are not designed to work with your engine swap. This line is the only full length K series clutch line available on the market.